Hello friends and happy weekend!!! 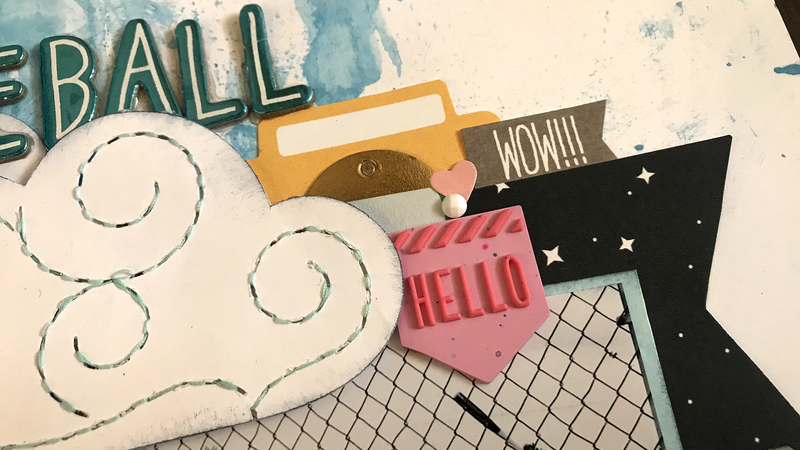 I am going to try to start sharing my layouts and videos on my blog again. Life has just been so crazy I barely have time to scrap anymore. It’s very sad! But alas, let’s talk about happy scrappy stuff! 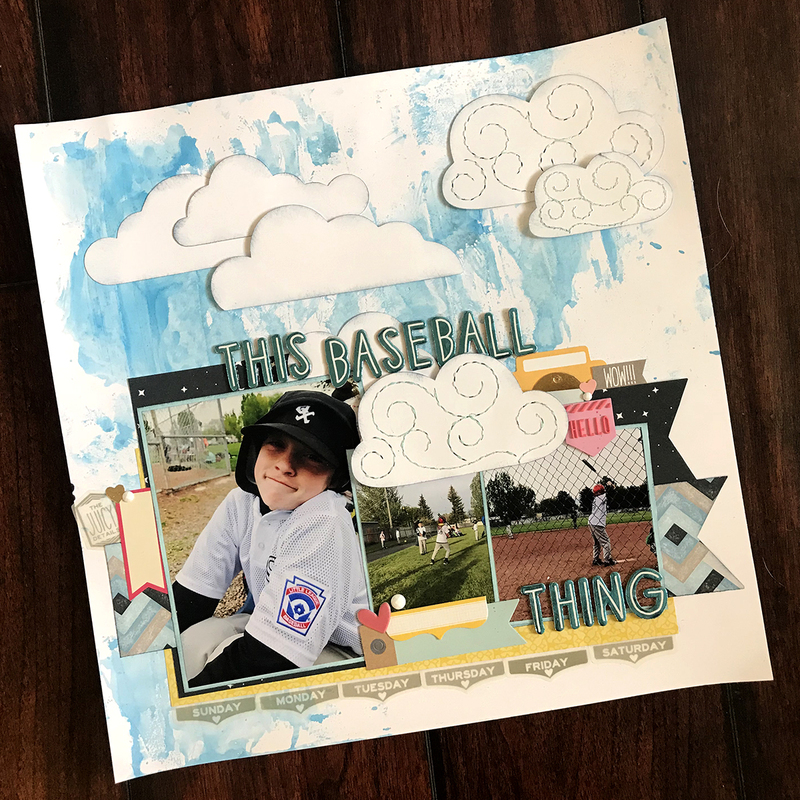 I made this layout way back in January I believe and shared it a few months ago on YouTube. 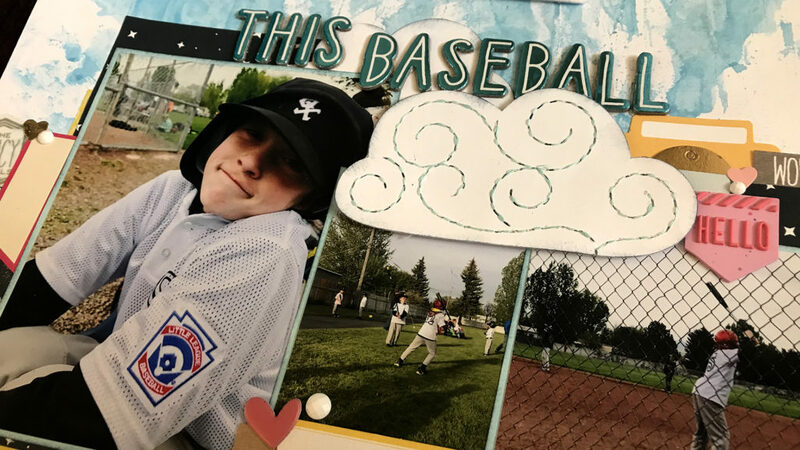 I had SO much fun making this layout!! 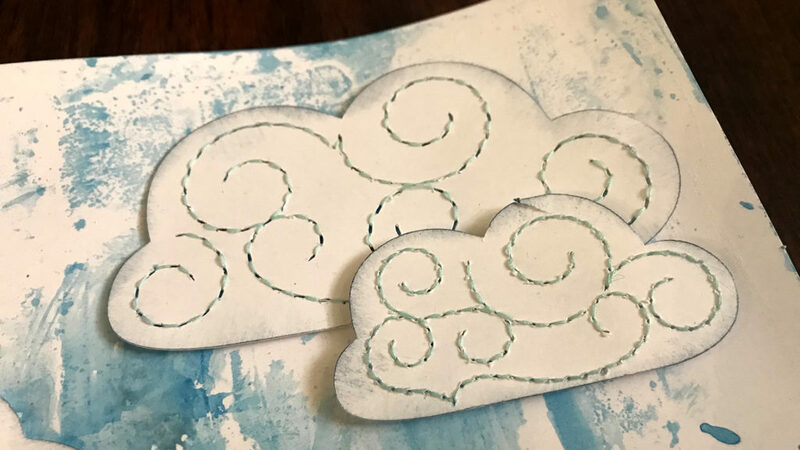 I got the cloud cut files from the Silhouette Design store and used some thread to add a little bit of texture to them. This alpha is on of my favorites, but I barely ever use it. I’m so glad I was able to make it work on this layout. 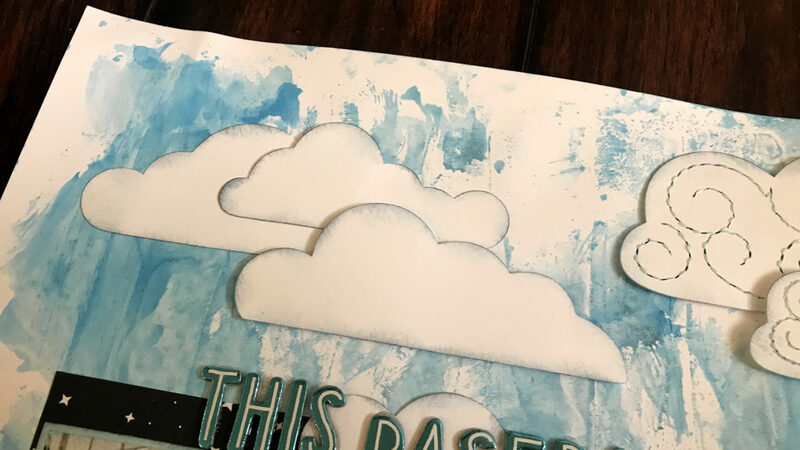 These clouds are my favorite part of this layout!! 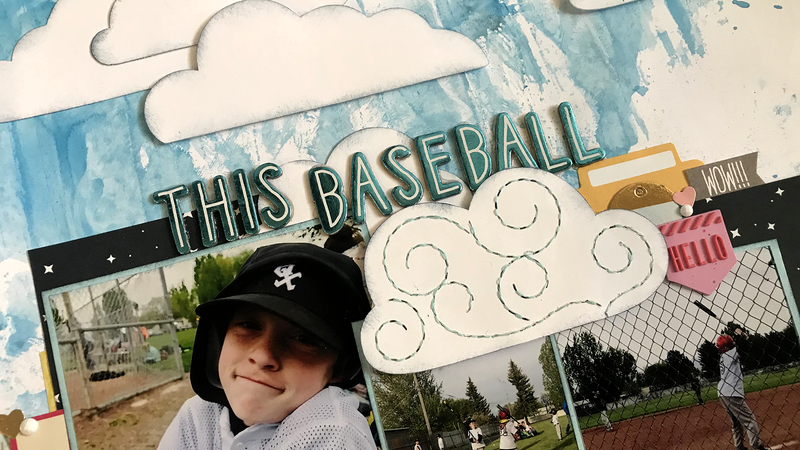 I love these photos of Brynnan playing baseball last year! 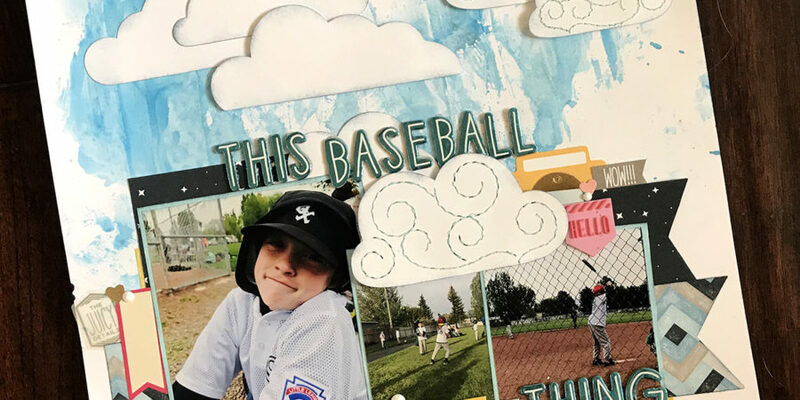 This layout ended up being really monochromatic so for this cluster by the photos I wanted to have a few pops of color. I really love the pink and yellow with the blue and black. 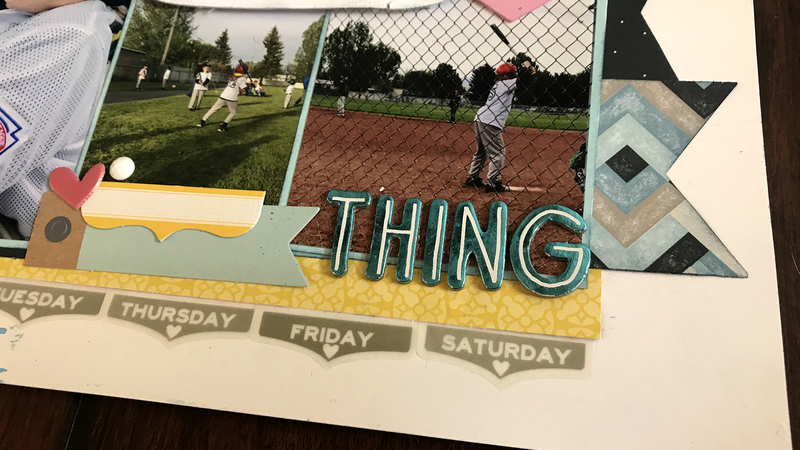 I have had these cute days of the week banners from Close to my Heart for about a year or more now and I really wanted to use them up. 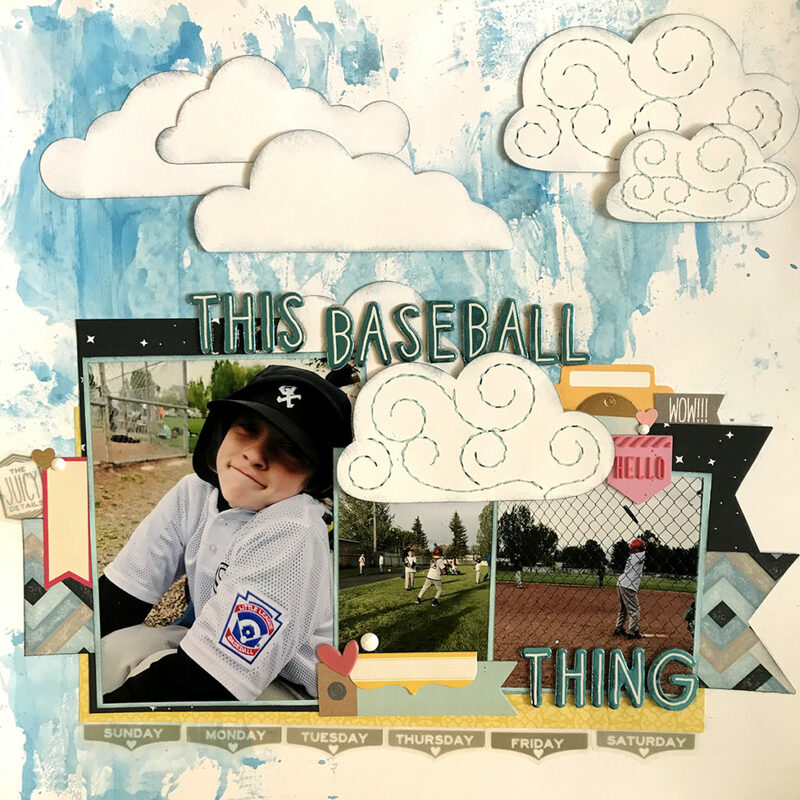 Baseball takes up a LOT of time so I thought it would be perfect to add all of them to this layout to signify that in a subtle way.